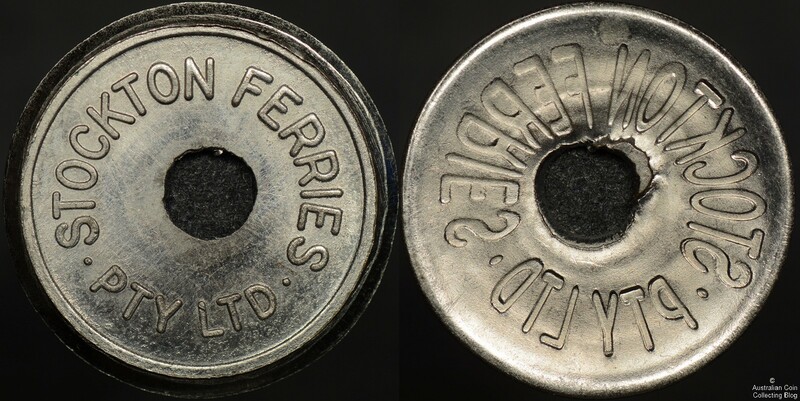 Stockton Ferries token brockage error. Holed token. The Stockton Ferry runs across the mouth of the Hunter River between Stockton and Newcastle north of Sydney.